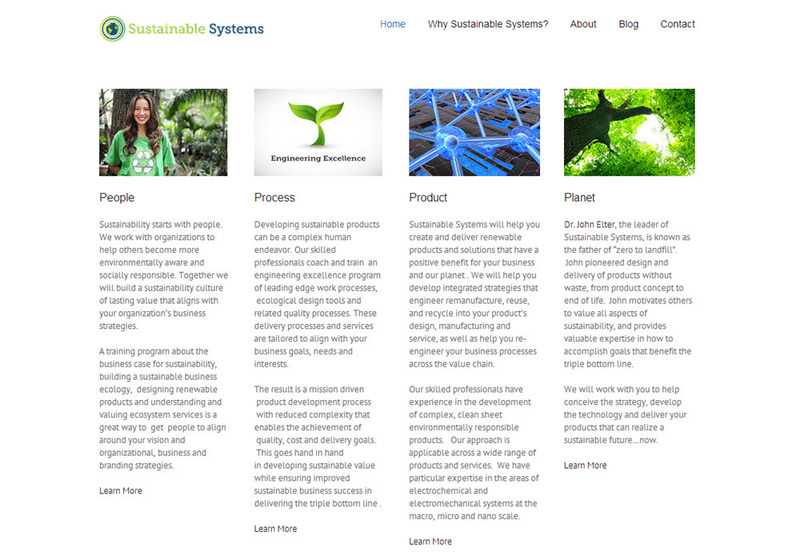 Artwork and a website were developed for the Sustainable Systems business. The artwork includes the logo, infographic, manipulated images, and a business card design. With a clean, up-to-date look, the responsive site works well on screens of all sizes. The admin module and training enables personnel to update content.